The Matrix Neo fondo de pantalla. Keanu Reeves as Neo wallpaper.. HD Wallpaper and background images in the The Matrix club tagged: the matrix neo keanu reeves wallpaper. 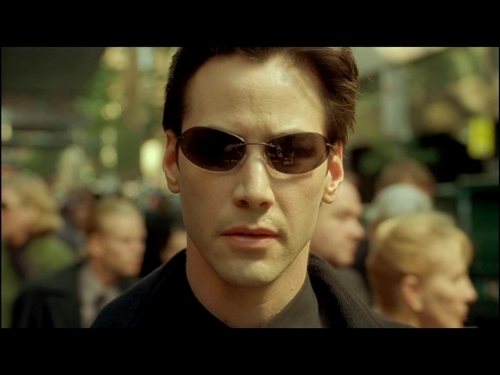 This The Matrix wallpaper contains gafas de sol, gafas oscuras, sombras, and tonos.